The ES8 is equipped with a 70-kilowatt-hour liquid-cooled battery pack comprised of cutting-edge VDA square cell batteries. These cells feature the highest energy density of their kind and provide a 2,000-charge lifecycle. The ES8’s drag coefficient is as low as 0.29. The ES8 achieves over 500 kilometers of range when constantly run at 60 kph, and the car achieves an NEDC range of 355 kilometers. NIO launches NIO Pilot, its comprehensive advanced driver assistance system. NIO PILOT is enabled by 23 sensors, including a trifocal front-facing camera, four surround exterior cameras, five millimeter-wave radars, 12 ultrasonic sensors and a driver monitor camera. The ES8 is the world’s first vehicle to come equipped with the Mobileye EyeQ4, which has a computation capacity nine-times more powerful than its predecessors. NIO PILOT’s software and hardware suite enables subscribers to enjoy upgraded services through FOTA updates. NIO also introduces NOMI, the world’s first in-car AI system. 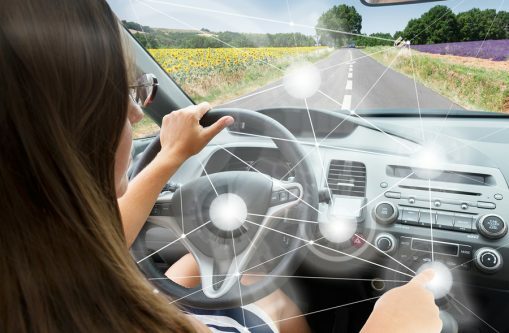 Powered by both in-car and cloud computation, NOMI interacts with people sitting in the vehicle and its emotion engine gives users a friend on the road. NOMI combines the ES8’s intelligence and car connectivity functionalities to turn the ES8 into a fun, expressive, and intuitive companion that can listen, talk, and help drivers along the way.